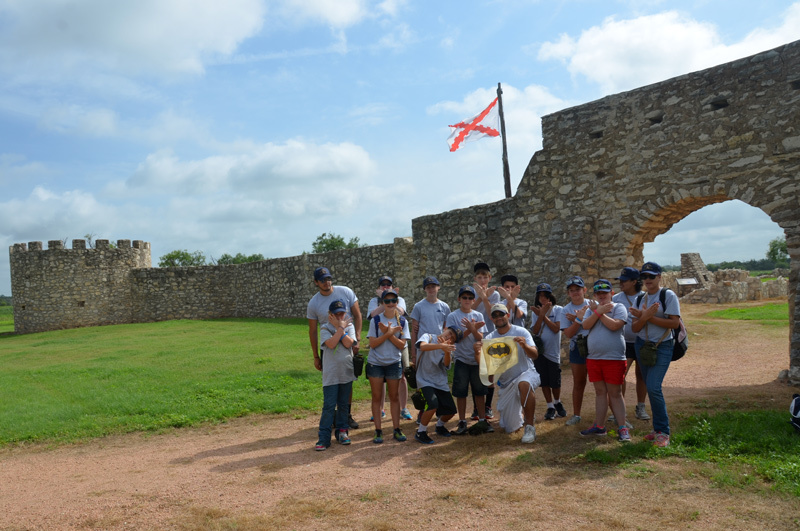 This summer, Fort McKavett was full of bustle as it played host to the 9th Annual Old Stories, New Voices Intercultural Youth Camp, sponsored by the Texas State Historical Association. 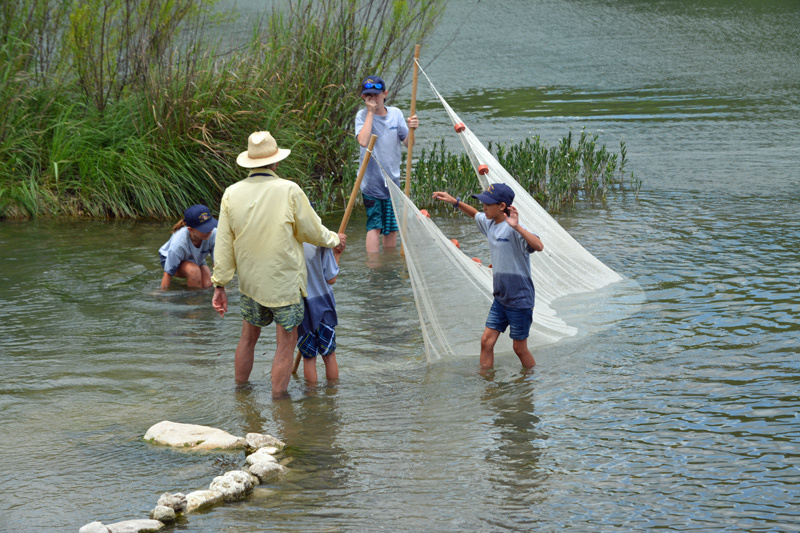 This year, campers between the ages of 10 and 12 were in attendance from the Dallas, Austin, and Stephenville areas. 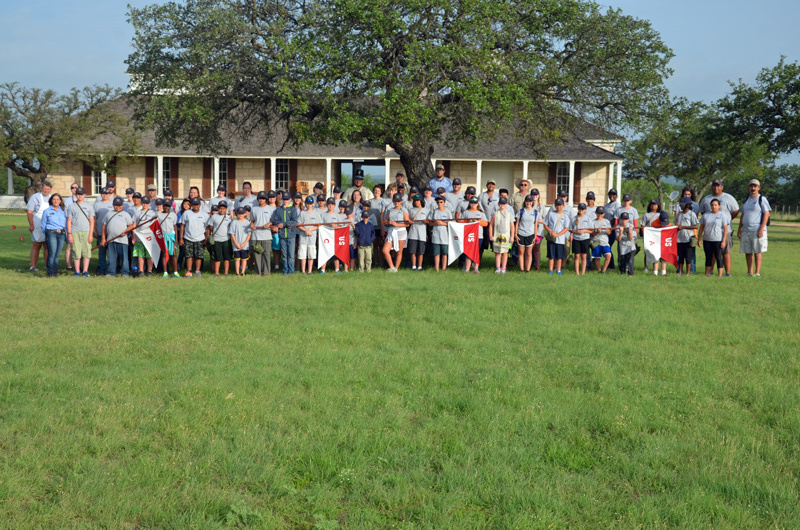 The campers were organized into four companies and assisted with the morning flag-raising ceremony. 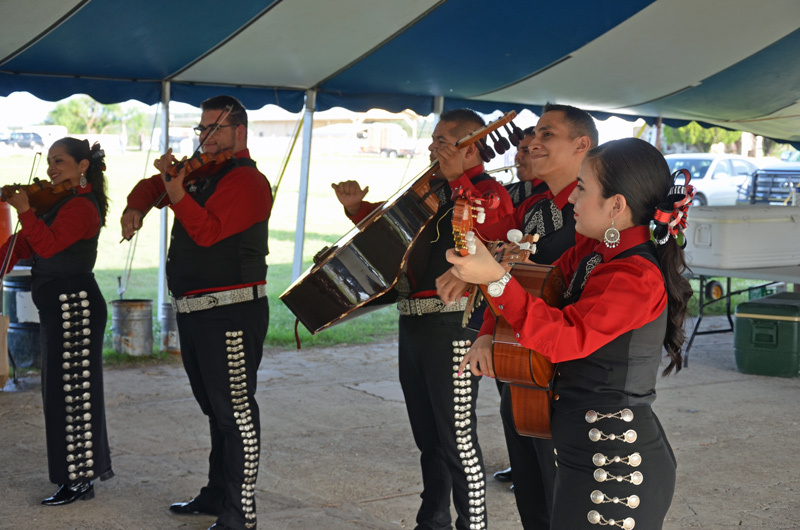 Each day had a different theme relating to the history and culture of Fort McKavett. 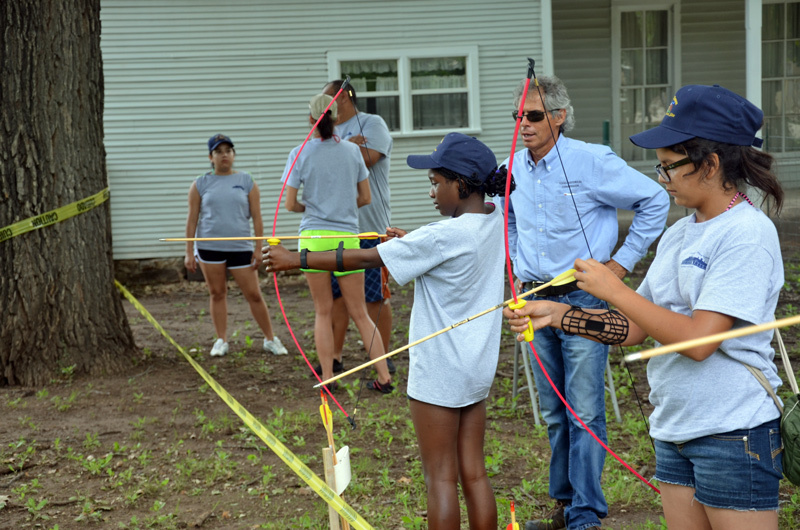 On Native American Day, campers experienced local Native American cultures and activities such as archery and shinny (an Algonquin game similar to field hockey). 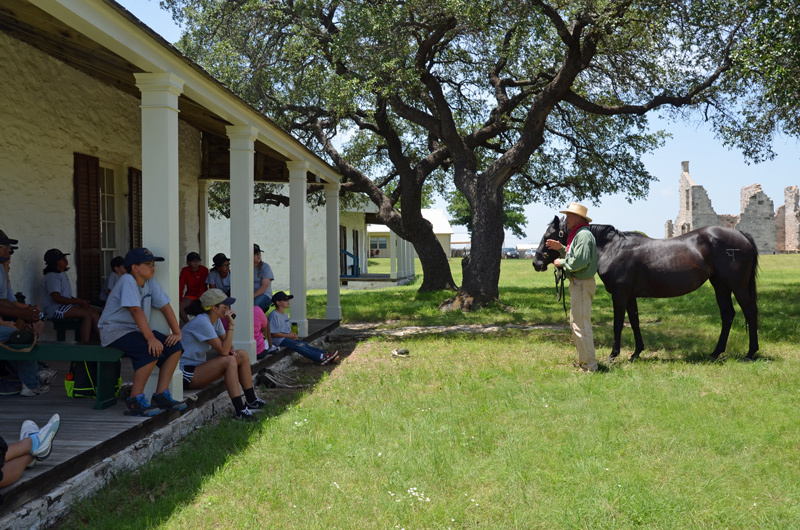 On Hispanic Heritage Day, they learned about the Spanish and Mexican settlement of the local area and visited Presidio de San Saba. 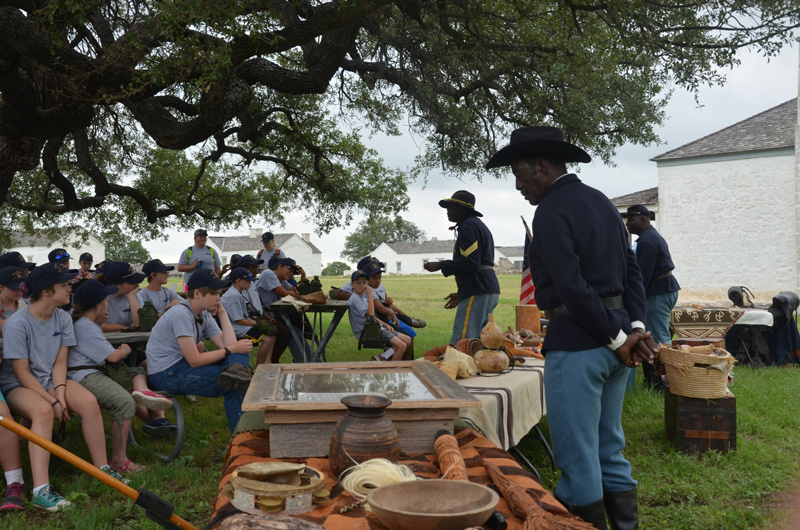 During Buffalo Soldier Day, the campers learned about the Buffalo Soldiers stationed at Fort McKavett and life in the US Army during the 1870s. 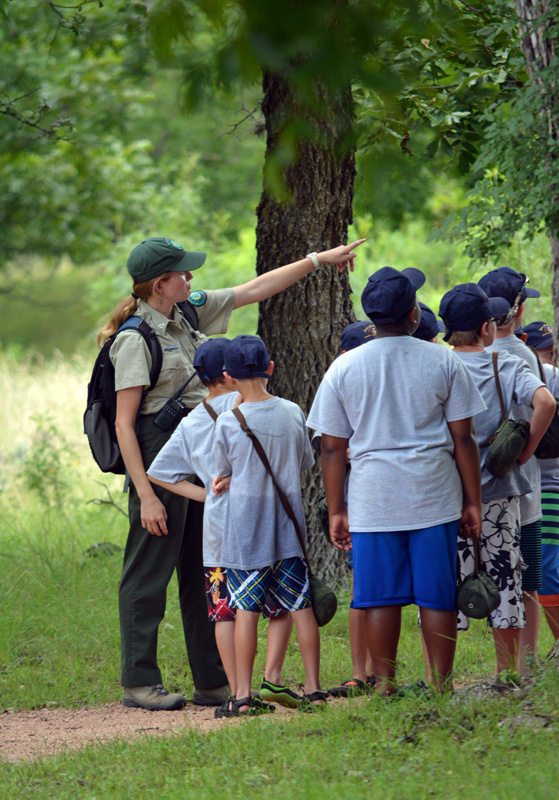 Nature Day involved a campout at South Llano River State Park, nature hikes, and a kayak trip. 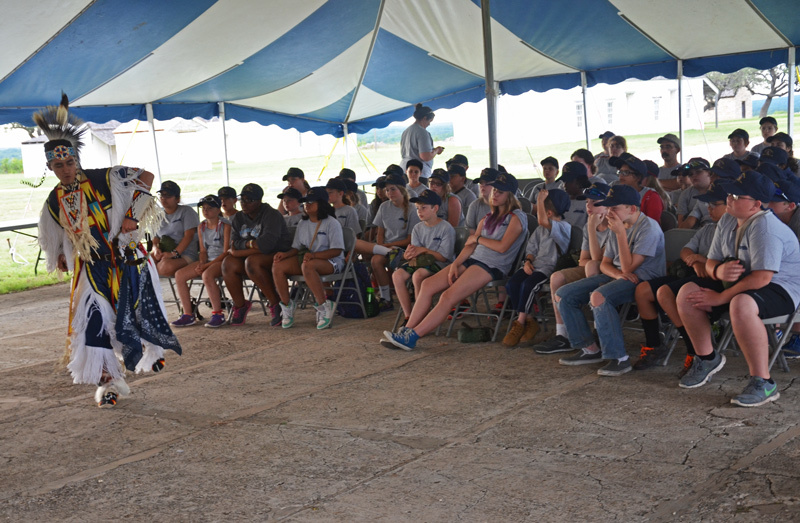 And finally on Fort McKavett Day, the campers learned about civilian life on the Texas Frontier. Everyone—campers, counselors, and staff—agreed that this year’s camp was the best yet. Fun was had by all, and we are looking forward to hosting the camp again next year. For more information about Old Stories, New Voices, visit their website or like them on Facebook. Check out Shutterfly to view more than 6,000 photos taken during the camp. The 2015 Old Stories, New Voices camp battalion.